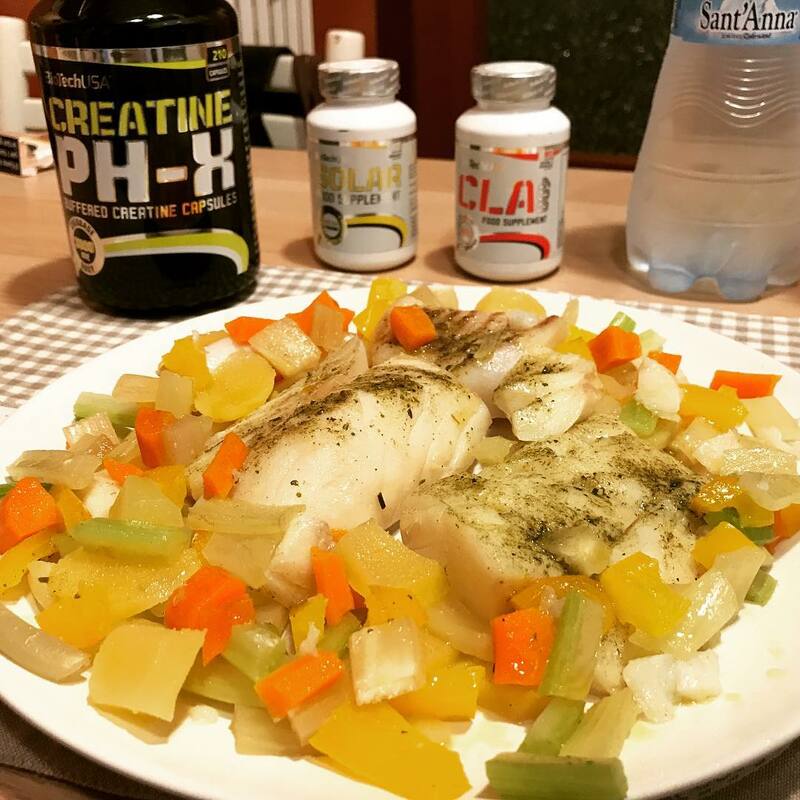 CreatineBioTech Creatine PH-X - 90 kaps. 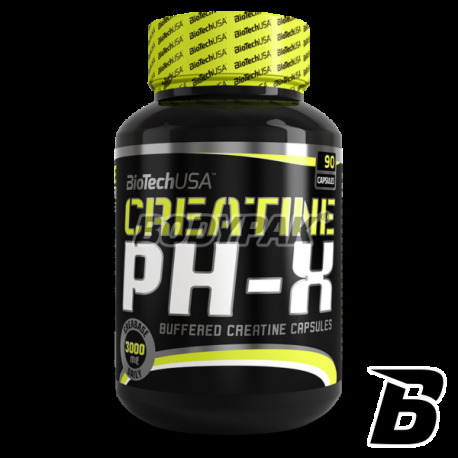 BioTech Creatine PH-X is a dietary supplement designed for strength athletes, endurance and speed-strength. Perfectly increases endurance and helps the body during recuperation after intense training. Discover the power of creatine, which increases physical performance during the next short, very intense exercise. 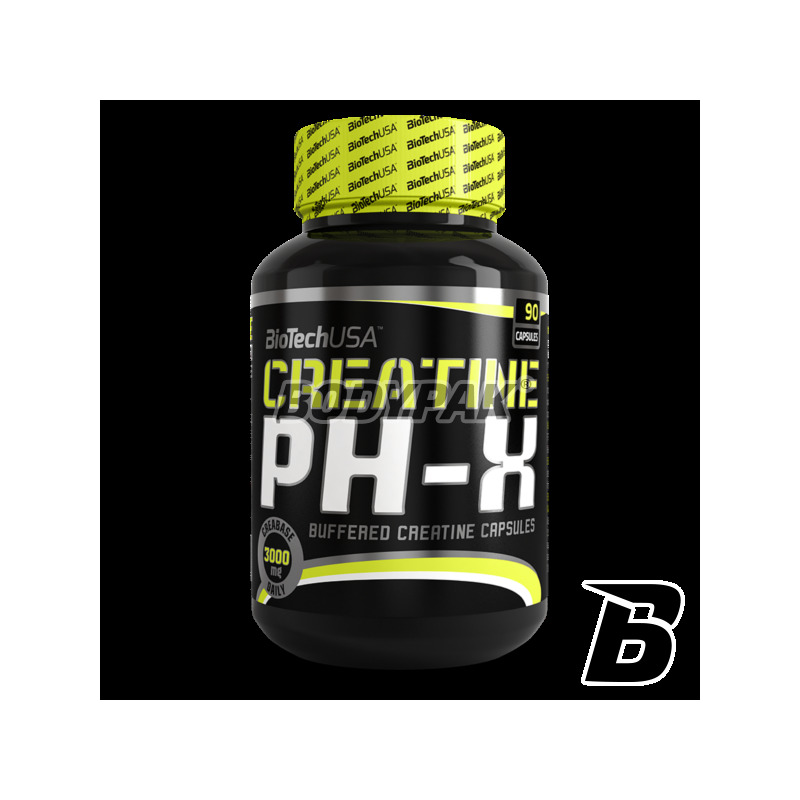 Creatine pH-X contains 3000mg of buffered creatine at the recommended daily 2 portions. The beneficial effect is obtained with a daily intake of 3 g of creatine. One serving (2-4 caps.) Immediately after waking, the second (2-4 caps.) Immediately after training. One serving (2-4 caps.) Immediately after waking, the second (2-4 caps.) At an interval of several hours between meals. Serving Size: 2x 2 capsules. Ingredients: buffered form of creatine, maltodextrin, anti-caking agent (magnesium stearate), capsule coating (gelatin), dyes (E171, E129 * .E133, E110 *, E102). * May cause disturbed activity and concentration in children. Dobra opcja.. lepsza niż klasyczne mono. Względnie ekonomiczny produkt.. ważne, że działa. Tanio, ekonomicznie i skutecznie - czego chcieć więcej od kreatyny?